THE NATURAL HAVEN: Oiling the Scalp - is it necessary? Oiling the Scalp - is it necessary? So, is scalp greasing a necessary part of haircare? 1. It can make scalp conditions worse (e.g dandruff, itching). 3. Prevent effective treatment of dandruff by blocking access to the scalp. 5. The scary one is Oil folliculitis - inflammation of the follicle leading to scratching and eventual loosening of the hair from the follicle (Journal of the National Medical Association, Vol 97, Issue 8, 2005). Is there anything beneficial about oiling the scalp? What if my scalp is dry, why shouldn't I use oil? In short, oil is not a remedy for a dry scalp. Find out what really is causing the dryness. Thanks so much for all the research. I learned a lot! I haven't oiled or greased my scalp in over a year and my hair has been just fine! I tend to try to keep my scalp "clean" now and when it feels a little "dirty" I shampoo. I've also read/seen that jojoba oil is the closest to the oil our scalps produces... is that true? It's important to think about what you put IN your body as well as what you put ON it. Increasing the amount of water and healthy foods I put in my body has helped my scalp, hair, skin, and nails to be grow healthier and stronger. God post. Once again very informative. I've stop oiling/greasing my scalp now I just focus on my ends. I don't use grease anymore as well. I know...cant believe what Im reading|! Another tip for dry scalp: Use your best body moisturizer ( creamy) on your scalp the night before you wash your hair. On top of that, after you shampoo, you can also use a your most moisturizing hair conditioner under the shower. Lol reminds me of my adventures of this week. Do you know witch natural oil has the least ''food''for seborrhea fungus. Some have more of it then others. I usually use mineral oil instead of natural oils when i need some hair sheen near my scalp. That way i know i'm not feeding the fungus. Some times i mix my natural oils with mineral oil to reduce the amount of food i might be giving them. The best oils to do this with are castor oil and shea butter. Castor oil is so thick you can get olive oil consistency by mixing it with mineral oil. It is safer for dandruff and seborrhea than plain natural oil. 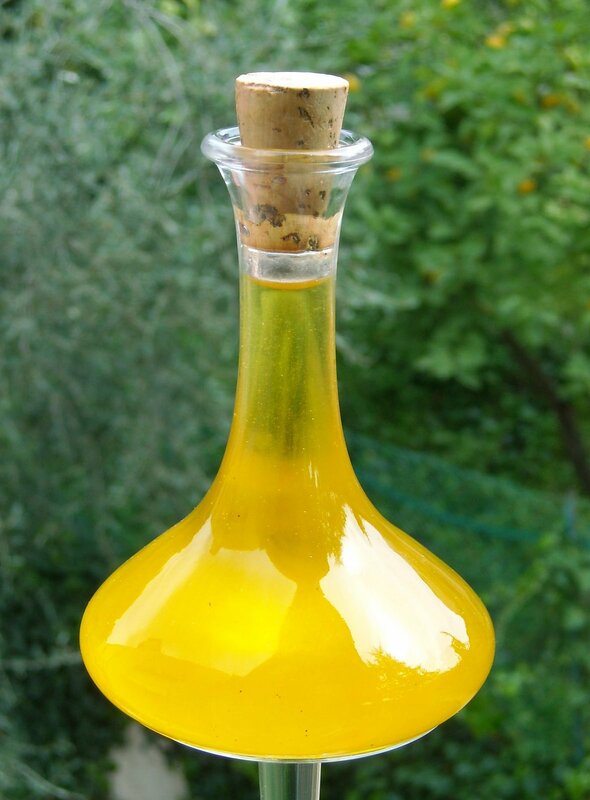 If you mix olive oil with mineral oil, the result is usually too light. My dream is to find a non natural oil that is emollient enough. Petroleum is thick but not emollient AT ALL. ewww you can feed the fungus? I haven't oiled/greased my scalp in years. I think being natural helps my scalp. I wash more often so it's cleaner and stays moisturized. I don't have any flaking or dryness issues. Not even the need to spritz in between washes. 2 questions I need info to send to my family to show i'm right since I don't do this practice but they LOVEEE to try and make me LOL. Can using things like hair grease or an oil stunt hair growth. I mean this as in slow the follicles growth down and keep it from pushing through your scalp at normal rate. I'm naturally talking about new hairs not really follicles already there LOL. Yep Ayomide- Many natural oils contain the exact fats that the fungus loves. If you actually have dandruff, oiling your scalp may make it much worse. Jaded - You are right that oil applied to the hair will get to the scalp. I think this is not too much of a problem provided the person does not have dandruff and secondly not too much oil is used. Hi, I was wondering if this also applies to JBCO? I've heard sooo many good things about it and how it's helping ppl see thicker stands as a result of its use. Have there been any studies concerning JBCO (jamaican black castor oil). I have come to find out recently that (duh) you really don't know whether you have 'dry scalp', 'dandruff', or 'psoriasis' (sp) unless you visit the derm. I have had [one of these^) every since about 7 years ago, I dont have derm $ and am frankly, shamefully, afraid to research it too much. But, if this research is in fact correct, I dont have 'dandruff', oiling my scalp (coconut oil) helps it A LOT along with washing every 7 days. Thanks for the post Jc! I will be curious to see if you find anything related to oiling the scalp causing slower hair growth. It seems to me that you've already answered the question with this post. Oil on the scalp can aggravate or mask scalp conditions. 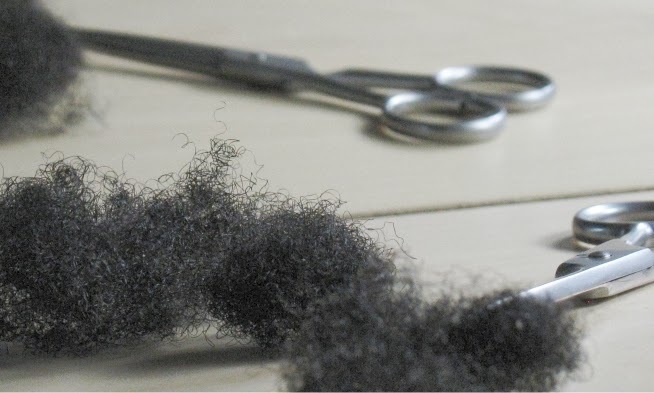 Those scalp conditions can inhibit hair growth, or make the hair that comes out of the follicle thinner/weaker than it should be. Therefore it's still the scalp condition that's affecting hair growth but the oil just compounds the problem. Is that right? I know everyone can't run and see a dermatologist, but I think dandruff and dermatitis are common problems. Especially for those that have been oiling their scalps and only shampooing their hair every 2 weeks or longer. I think sometimes people don't want to accept that they may have dandruff or some other scalp condition. It's really not a big deal, use a medicated shampoo for a few washes and keep it movin! Believe it or not, I am one of those individuals who cannot use coconut oil. It causes my scalp to itch in the WORSE way. Too bad that it took forever before I was able to pinpoint the coconut oil as the culprit for my itchy scalp. Thanks for the post...I like oiling my scalp and you are right about the tradition. I do it because I feel like that is part of hair care. Very nice post. Greasing the scalp is just something ingrained in Black hair care culture, weather natural or processed. I never even thought that it would be not beneficial or harmful. I believe in oiling my scalp although I tend to do it every now and then. Apart from a bit of alopecia caused by thyroid problems, I have not experienced anything negative on the scalp. The only issues I had years and years ago was using lanolin based products on my scalp which made it itch so badly. Castor oil is not really a hot topic as far as hair science is concerned. I will look again though. How you doing? :-) I asked because having a condition of the scalp does not necessarily mean the follicle may have a problem surfacing through the scalp. Our scalp as JC mentioned already produces oil and has no problem pushing through that so I was wondering really about the use of heavy product example,castor oil, shea butter *very common with naturals* or even petroleum. I noticed though heavy, facial skin particularly acne prone doesn't usually have a problem with the petroleum based products, so I was thinking in relation to the skin on our scalp is there a type of saran wrap effect, creating a wall of product that inhibits growth. *it inhibits the growth of fungus but does it anything else* Yes ma'am I'm aware of what was stated dandruff, Oil folliculitis. *which from its description removes a follicle already present*. For my other question, the post is in reference to actual indirect application of oil to the scalp. We all moisturize our hair, or I would think so if your of african descent with dry hair issues. :-) So I inquired about how possible would it be to cause irritation though your not directly applying the product to your scalp...or as I'm now learning "feeding the fungus". I don't have dandruff issues so using a medicated shampoo is not needed for me, I was mainly curious. Also having a young toddler with occasional severely flaky issues won't make me whip out some Selsun blue. I try to figure out and solve the root of the issue not mask it. Since my hair is in protective style [95% of the time], I oil the scalp before braids and maybe once every fortnight. I oil it to soothe the scalp and to help promote healthy hair. lol Amina, my mum is also still faithful to greasing too. I managed to convince her to change oils though lol. @Da JadedPoet: I'm sorry - I really wasn't directing my comment at you. I can see how you took it that way, but I was talking about the general population of Black women. Flakes = dermatitis and it's frustrating to me that people won't accept that. Lol at my typo! I'm not very good at multitasking. Jc - This is an awesome post! I myself have some type of dandruff/dermatitis appt necessary scalp problem. I inflamed the issue while I was experimenting with home-made products. I used baby banana food on my hair (really I was using bananas in a DC recipe and tried to do a short cut w/ the baby food). My scalp reacted like it was a plague and I swear I've been recovering since. I guess Little One is right, and I should just get a perscription from the Dr. to kill the fungus...let me get out my piggy bank! Where's my comment? *youngtimers maybe I never sent it -_-* LOL. i've been having a problem with dryness/flaking/itching/burning and a 'stylist' suggested i use oils so i've been doing that and it hasnt changed much. Hi Jc, I'm lovin this post, but I'm still in need of sum help....wat should I do if it feels as if my scalp is dry, & cant find any derms to determine the main issue?? Good discussion...but I don't agree. LOVE THIS POST!!! Finally i see im not losing my mind by not leaving oil on my scalp. In fact when i first used natural oil on my scalp, it itched like crazy, and i knew i could never do it again, UNLESS i put it on 30min prior to washing my hair (like a hot oil treatment). I could never just leave it, my hair would start to itch. I thought i was the only one like that. Also my scalp is oily on it's own(and i have 4bhair) i dont need to oil it, but i thought people did it for hair growth, when i felt the itch, i did more investigating, and it actually clogs your pores preventing hair growth, that's also what causes the itch. As a little girl, when i had petroleum oil/grease/mineral oil on my scalp it NEVER itched, recently i found that was due to those oils not penetrating my skin, they just have a barrier around my scalp, preventing any moisture from coming in. I NEVER oil my scalp anymore, with ANY oil. It's best for me, and my scalp is oily enough, what i do oil is my hair. I don't agree because many women in India who grow their hair to the floor oil their scalp with coconut oil every night and wash it out in the morning.